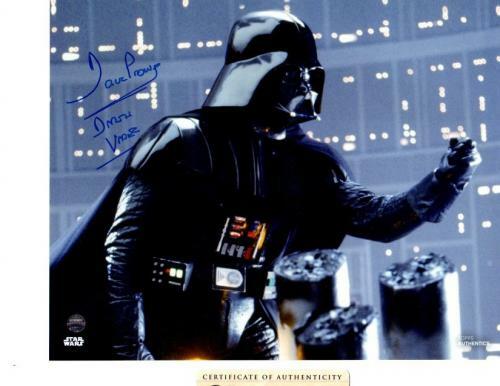 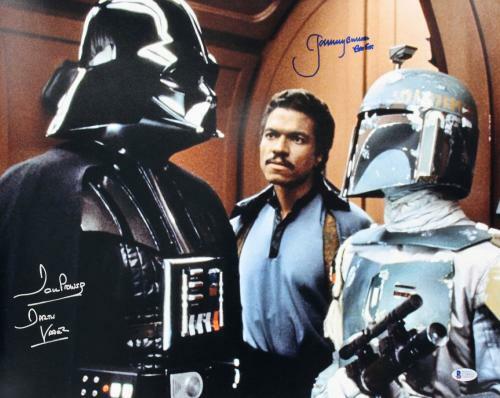 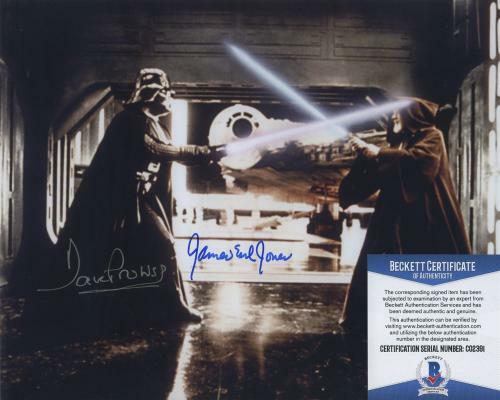 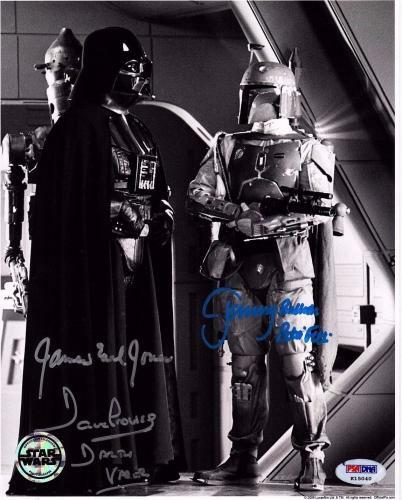 James Earl Jones & Dave Prowse Signed Darth Vader Star Wars Photo Jsa Quote!! 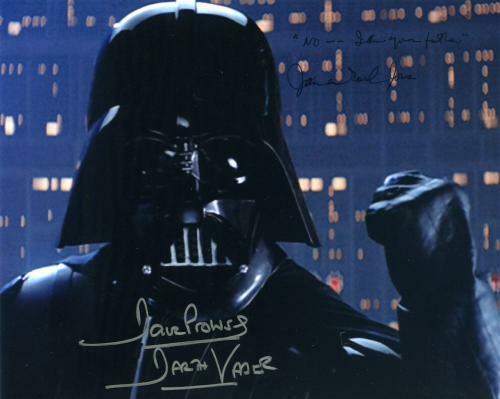 David Prowse is former bodybuilder and weightlifting champion that is most known for playing one of the most iconic roles in cinematic history. 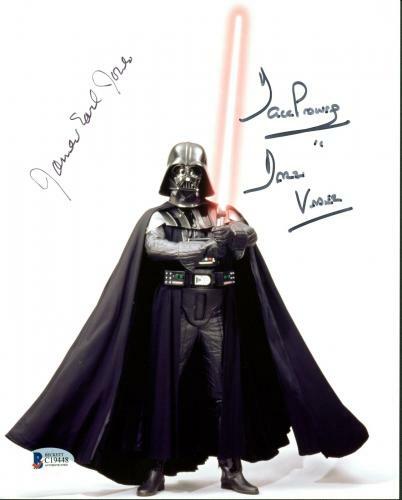 Prowse was the imposing figure, Darth Vader, in the first trilogy of Star Wars. 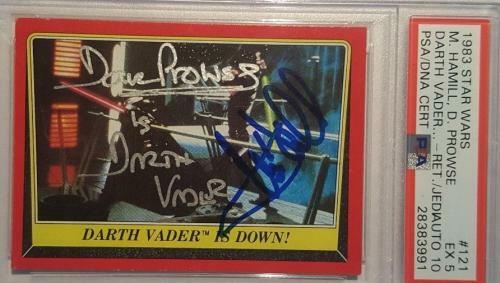 Prowse’s Vader may be the most well-known science fiction villain of all-time and he continues to be the focal point of Star Wars movies, video games and television series alike to this day. 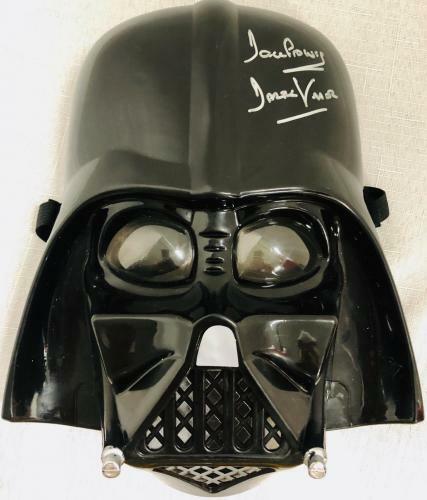 Before becoming Darth Vader, David Prowse won the British heavyweight weightlifting championship in 1962 and the following two years. 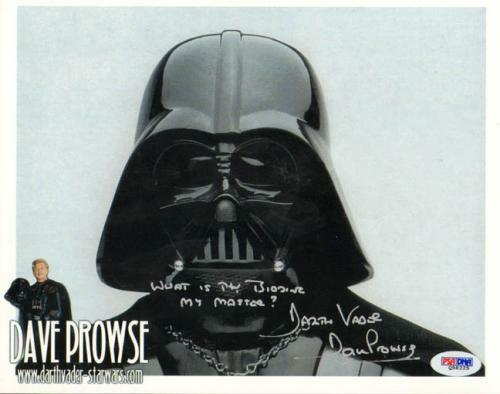 Prowse also had a successful career as a character actor in British film and television appearing in movies like A Clockwork Orange and Vampire Circus. 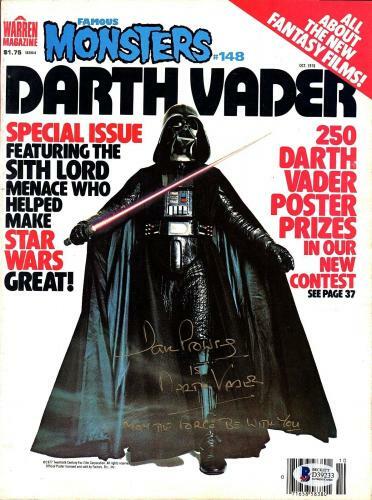 Still, none of those roles resulted in much fan-fare or accolade until he became the infamous Darth Vader. 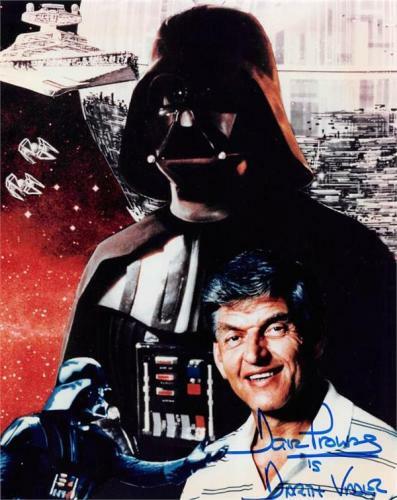 True Star Wars fans know David Prowse and all that he contributed to the immensely popular film series. 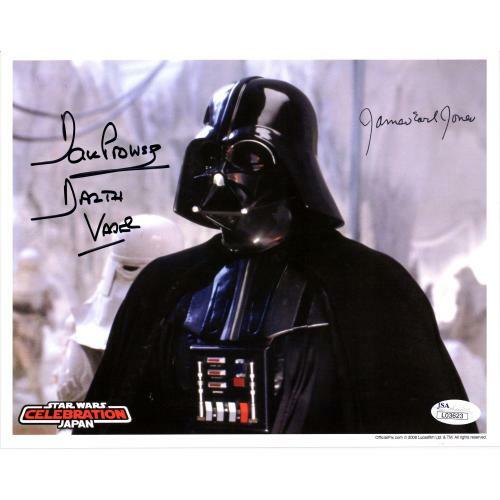 Darth Vader is one of the most popularly intimidating villains of his time, and all that physical menace is a result of the portrayal by David Prowse. 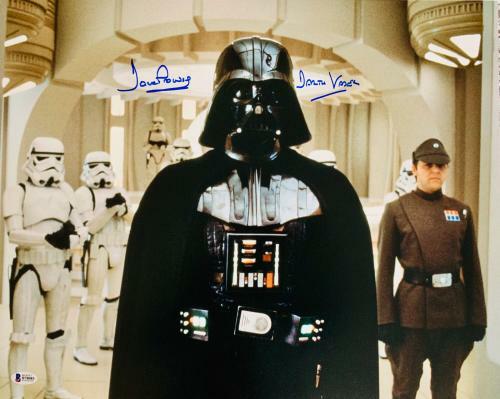 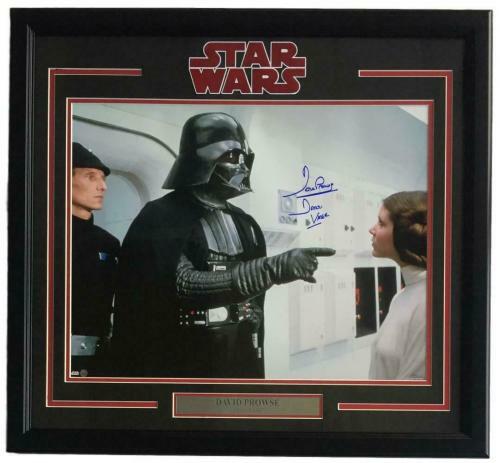 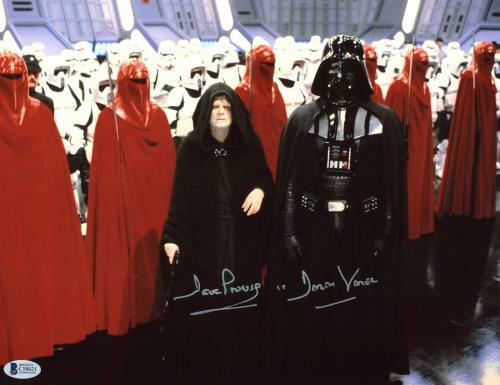 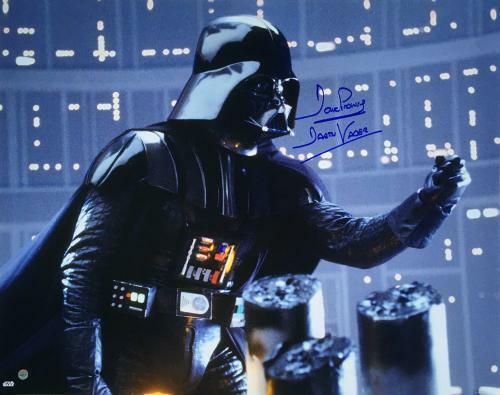 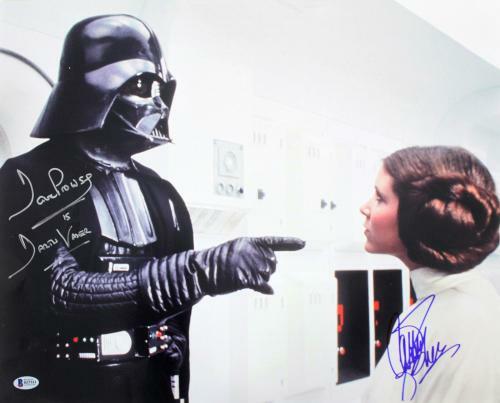 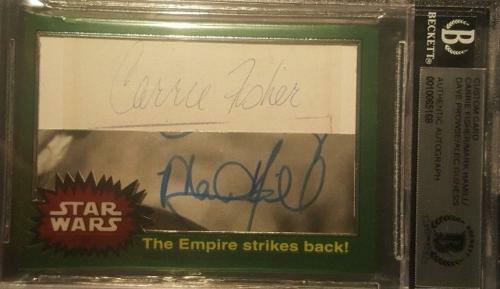 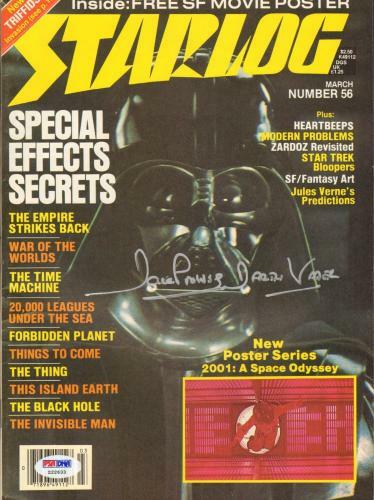 We offer some of the best Darth Vader photos and other collectibles that fans could want, all signed by Prowse. 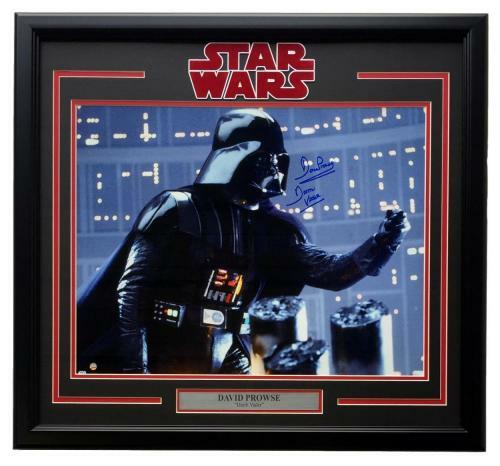 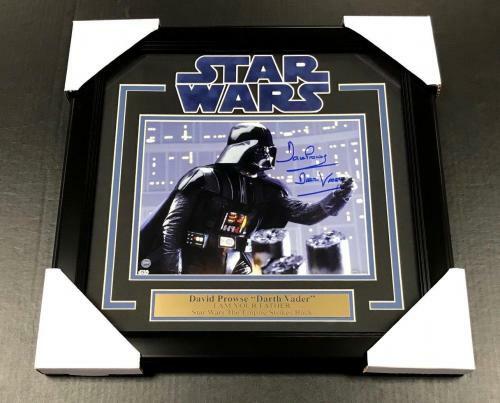 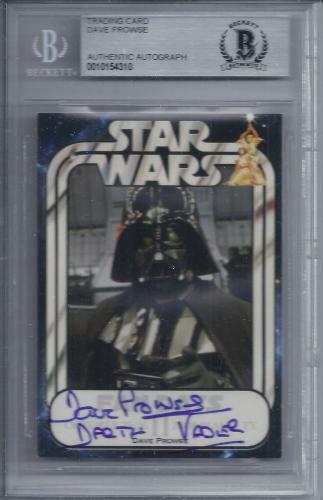 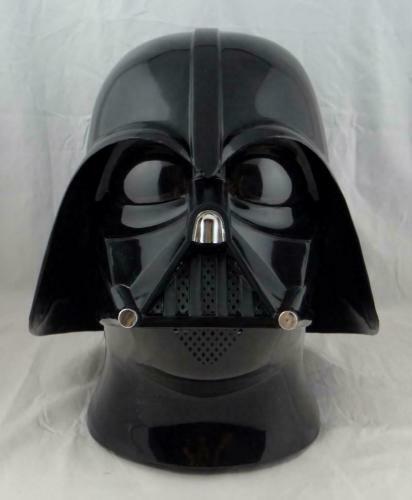 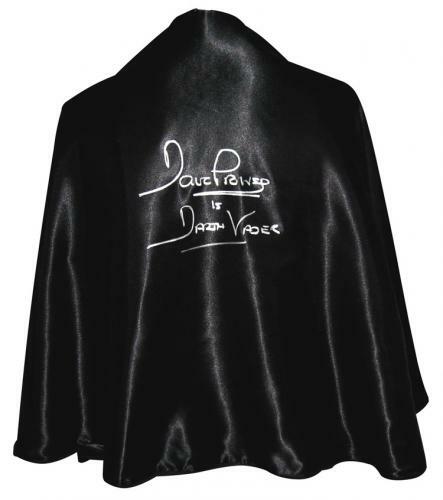 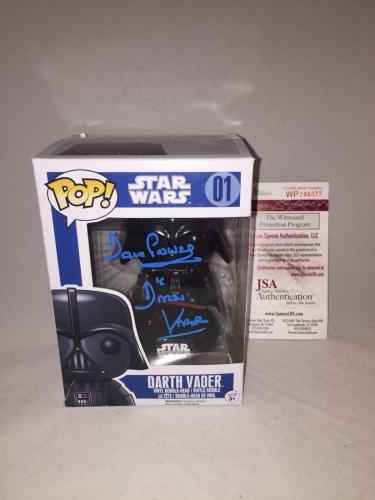 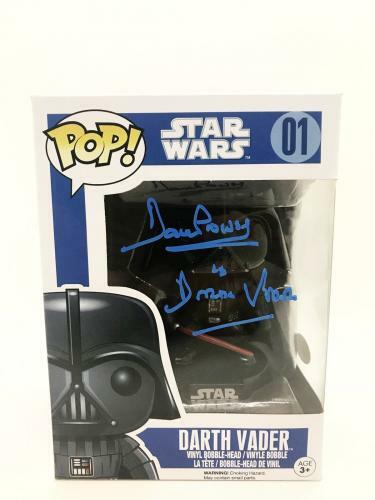 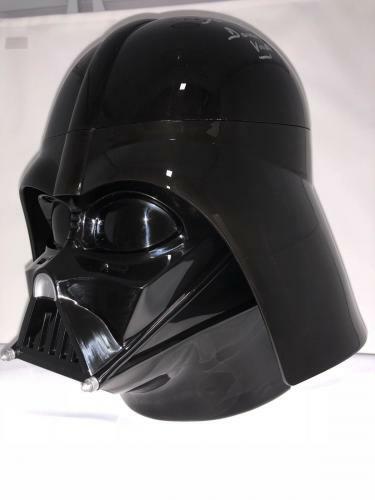 All David Prowse autographed memorabilia is guaranteed authentic and will look amazing on display. 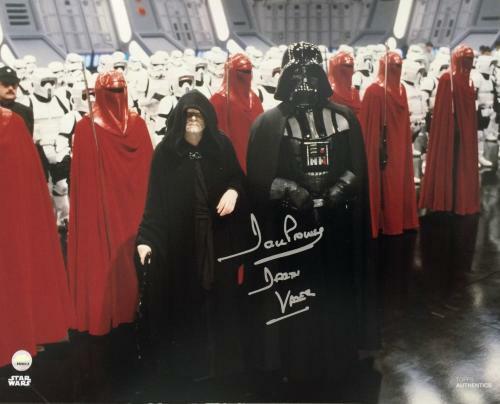 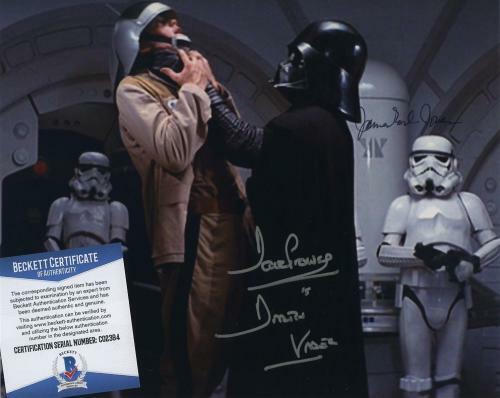 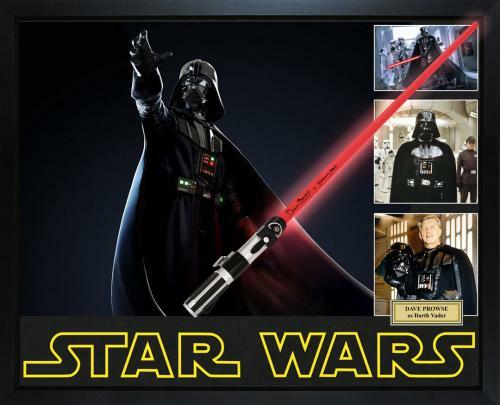 David Prowse Autographed Photos: Our autographed photos of David Prowse are perfect for any Star Wars fan who loves the iconic character, Darth Vader. 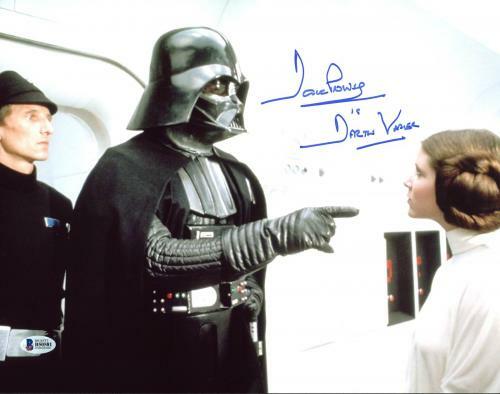 These pictures show some of the best moments of the original Star Wars trilogy with Prowse playing the menacing villain. 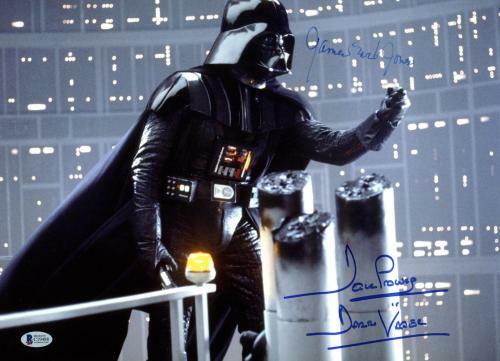 Not only are the photos signed by Prowse, but he also signs them as Darth Vader. 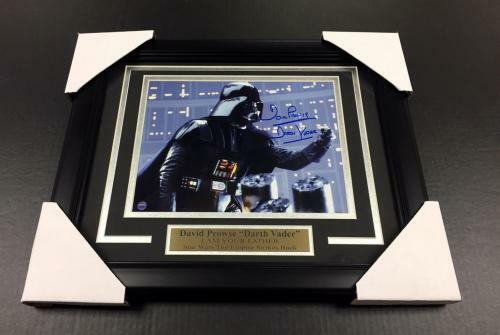 All Prowse autographed photos are certified authentic and are sure to look unbelievable on display in your home or office. 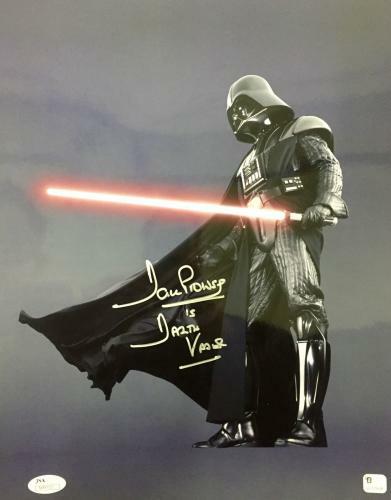 David Prowse Autographed Posters: The artful design of Star Wars movie posters has made them popular by fans of the series for decades. 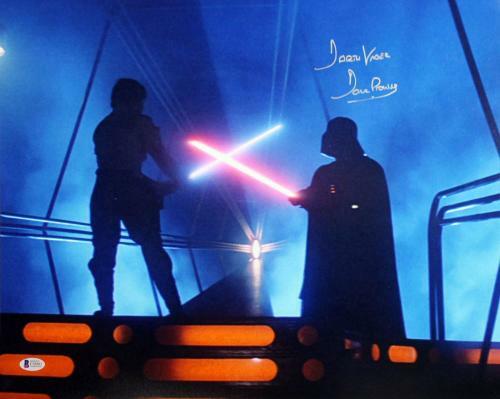 These incredible posters are a must have for any true fan of the science fiction film series. 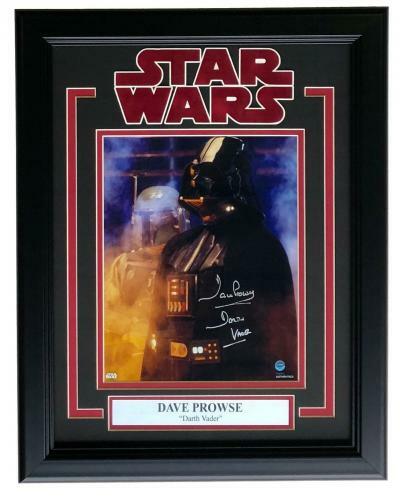 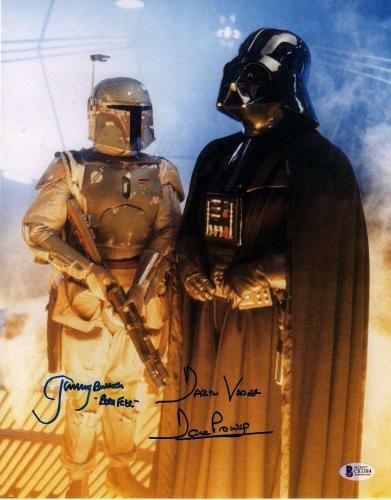 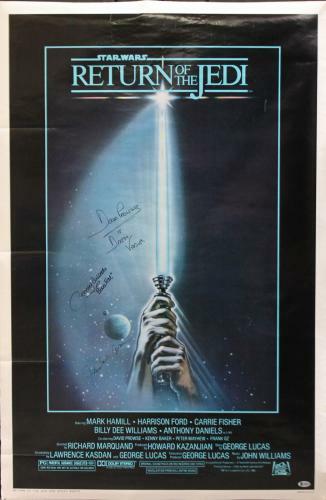 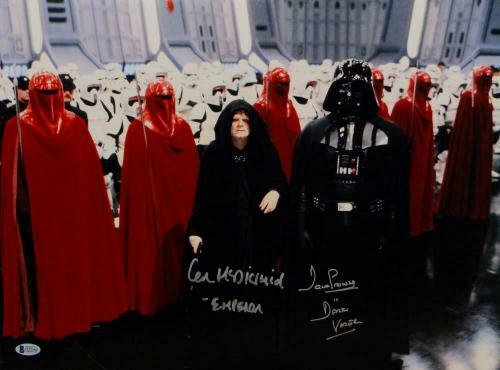 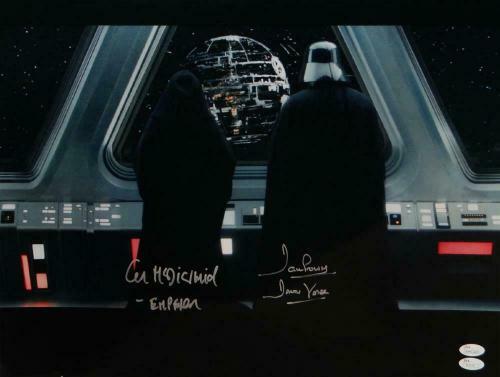 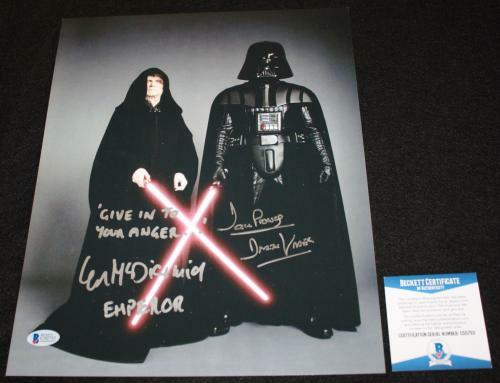 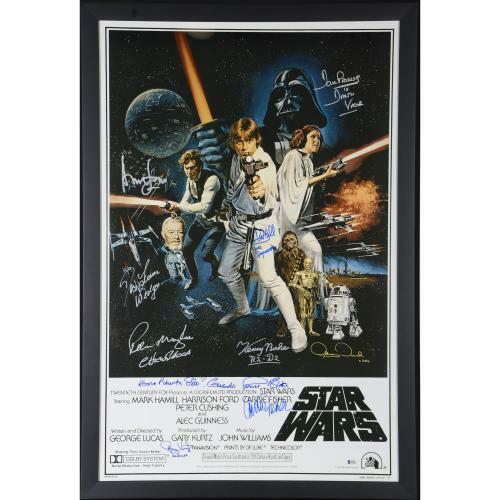 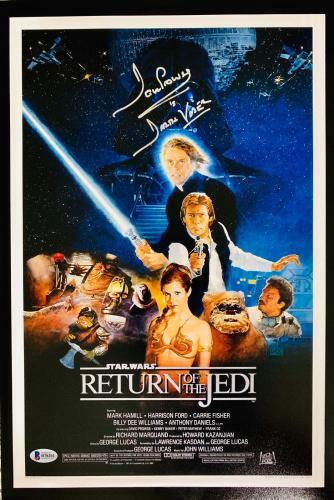 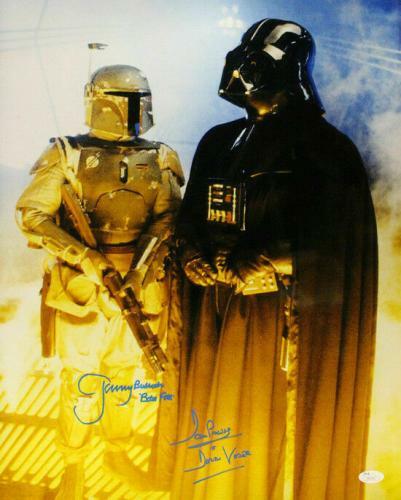 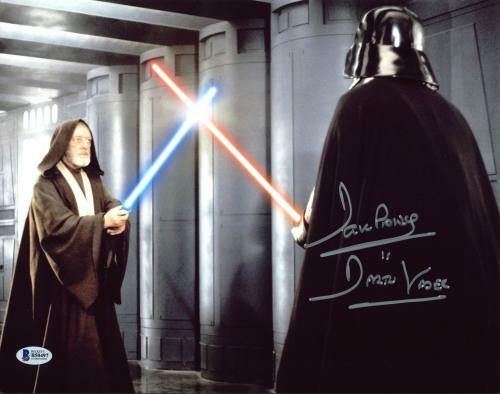 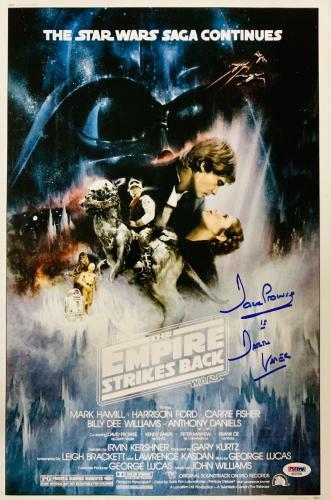 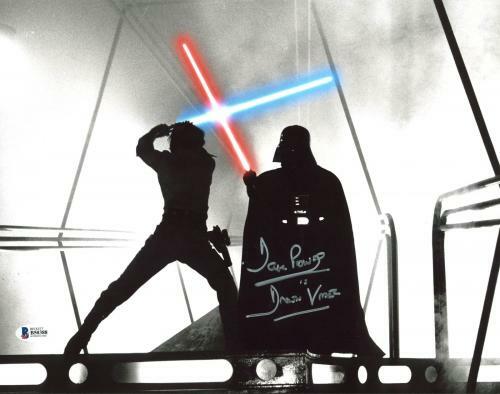 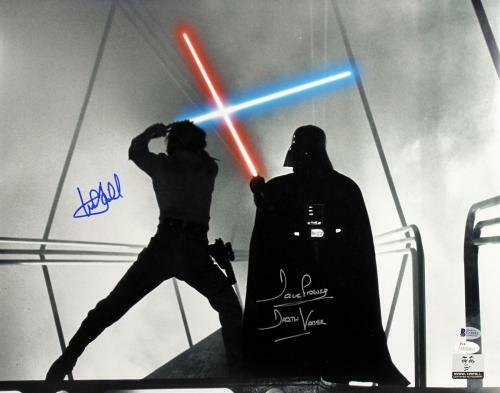 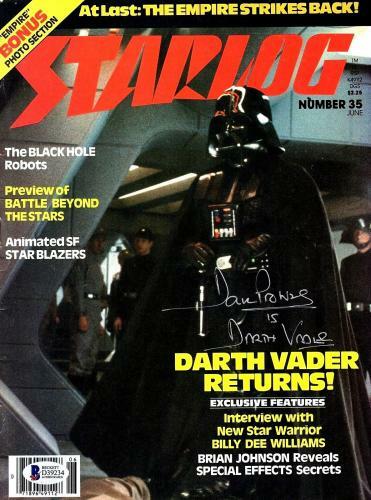 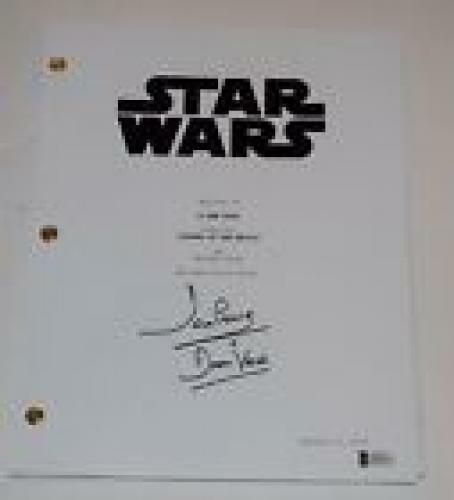 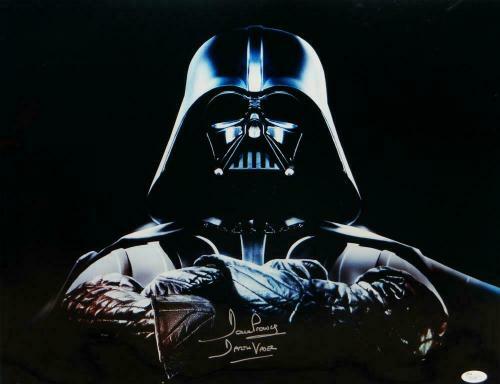 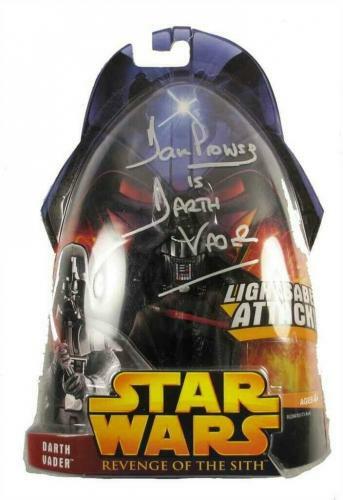 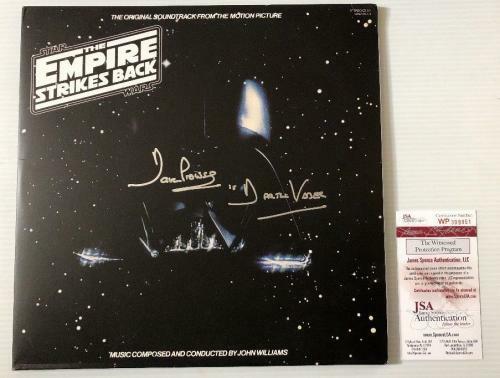 We offer the Star Wars movie posters that have been signed by David Prowse. 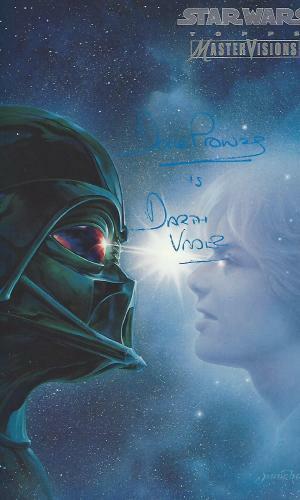 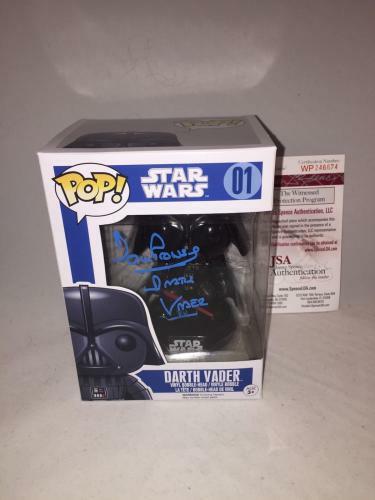 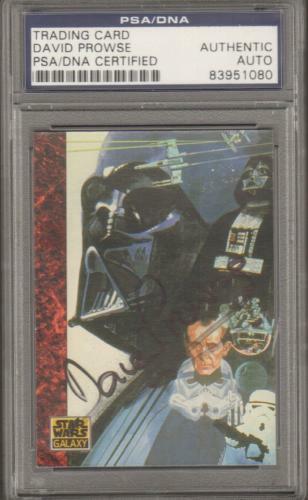 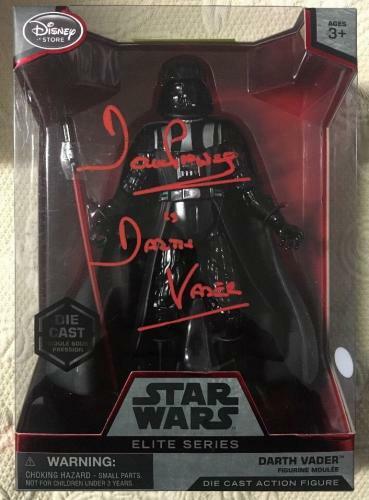 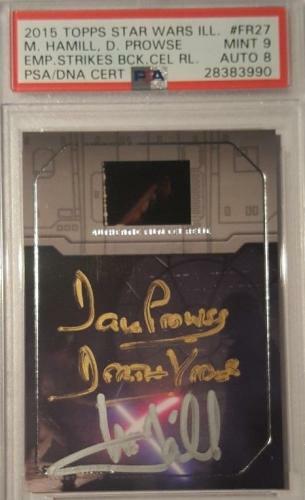 Prowse, as customary with most signatures on Star Wars memorabilia, not only signs his name but signs it Darth Vader as well. 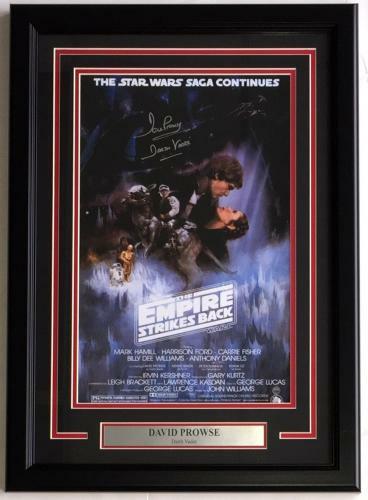 Every Prowse autographed movie poster comes with a certificate of authenticity and is of great value to any collector.